Upon hearing the word ‘anarchy’, many people conjure up images of riots, violence, and absolute chaos (which are bad things). Sure, there are probably some addle-brained, angst-filled folks who want to run around and destroy things with a pitchfork, but this is not a complete picture. 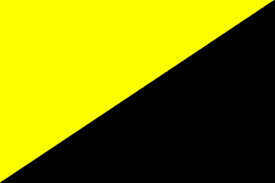 In fact, it completely disregards the other definition of anarchy, which is the absence of government. Most will argue that chaos and violence necessarily follow the absence of government, but that argument does not stand up to scrutiny. Example 1: do you refrain from killing people because government has enacted legislation forbidding it, or do you refrain because you believe murder to be bad? Anarcho-capitalists (or an-cap, for short) are people who follow the non-aggression principle, but extend it beyond their personal interactions. They follow NAP to its logical conclusion, which is that coercion is wrong whether the government or an individual instigates it. From this, it follows that government is inherently immoral, and *shazam*…an anarchist is born! There are different types of anarchism, but I am particularly enamored of the an-cap approach, because it can be logically deduced, it is consistent, and it is just. Below, find the Cliff’s Notes version of the an-cap philosophy. Abolition of government, of all types. Advocating for voluntary, cooperative societal structures. Absence of force, coercion, and resorting to violence. Actual market principles rather than subsidies, crony capitalism, crony labor, ceilings, floors, etc. Anti-war (always), self-defense when necessary. Association (and disassociation) based on choice.